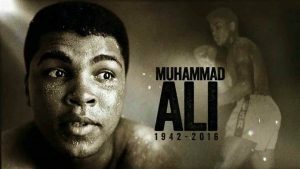 The world has lost the greatest boxer of all time Heavyweight champion Muhammad Ali at 74 years. 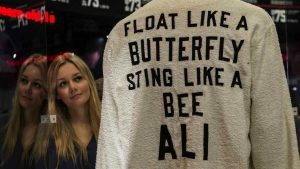 Muhammad Ali, the silver-tongued boxer and civil rights champion who famously proclaimed himself “The Greatest” and then spent a lifetime living up to the billing, succumbed to Parkinson’s disease he suffered for 31 years. 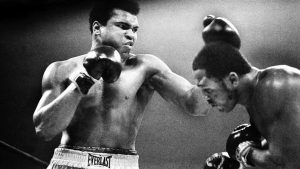 Ali had suffered for three decades from Parkinson’s, a progressive neurological condition that slowly robbed him of both his legendary verbal grace and his physical dexterity. A funeral service is planned in his hometown of Louisville, Kentucky. The remark bookended the life of a man who burst into the national consciousness in the early 1960s, when as a young heavyweight champion he converted to Islam and refused to serve in the Vietnam War, and became an emblem of strength, eloquence, conscience and courage. Ali was an anti-establishment showman who transcended borders and barriers, race and religion. His fights against other men became spectacles, but he embodied much greater battles. He took it from George Foreman later that year in a fight in Zaire dubbed “The Rumble in the Jungle,” a spectacularly hyped bout for which Ali moved to Africa for the summer, followed by crowds of chanting locals wherever he went. A three-day music festival featuring James Brown and B.B. King preceded the fight. Finally, Ali delivered a historic performance in the ring, employing a new strategy dubbed the “rope-a-dope,” goading the favored Foreman into attacking him, then leaning back into the ropes in a defensive stance and waiting for Foreman to tire. Ali then went on the attack, knocking out Foreman in the eighth round. The maneuver has been copied by many other champions since. The following year, Ali was diagnosed with Parkinson’s Disease.